“I stole the life of the goddess of Éire”. 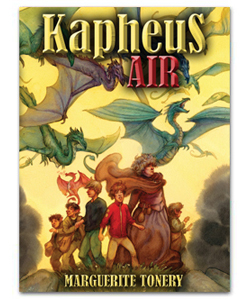 Kapheus Water is book 3 in the fantasy adventure. The shiny silver cylinder contained the ancient symbols of Kapheus along its length – the dragon guarding the entrance, the wolf howling, the woods and the great oak tree, the rivers and the sea, and at its peak stood the unicorn. 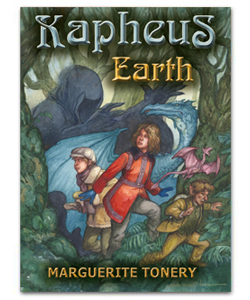 The smell of adventure was in the air, and as soon as Elisa and Jamie set foot on Kapheus, the time of water had begun. The fantastical world of light awaits you if you dare to cast yourself upon the wild seas, the pirates’ ships and the great Kaphien plains. 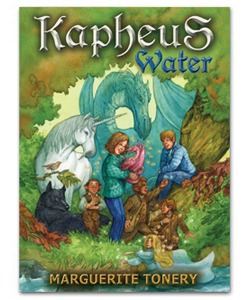 Kapheus Water is about love, loss and togetherness. It helps children to build mental strength in times of adversity. Níl tú i do bhall fós?